We are aroma specialists who provide aroma training, aroma design, aroma development and the creation of aromas specific to many industries including wine, scotch whisky, gin, food and perfumery. Our aim is to educate with expertise and to deliver fun experiences and events! The Gin Aroma Academy is a division of the Aroma Academy which also includes the Scotch Whisky Nosing Academy and the Wine Aroma Academy amongst its many activities. The Aroma Academy provides customers with niche specialist Aroma and Perfume System Products and Master Classes that educate, entertain and/or improve the feeling of well-being. The customer base is wide ranging, covering both enthusiasts/connoisseurs and trade/industry with industry customers including many of the leading drinks and perfume companies. Aroma Science is at the core of everything that we do and the Academy is privileged to have Dr George Dodd as Director of Science & Technology. 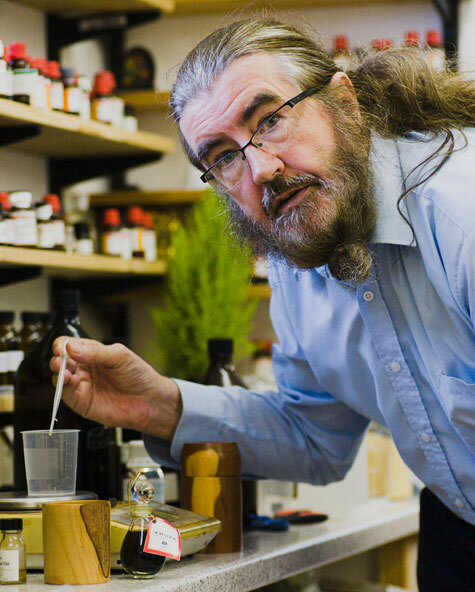 George has the unusual combination of having a PhD from the University of Oxford, extensive Aroma Science experience in both industry and academia – including setting up the Smell Research Group at the University of Warwick (with which he is still involved) – and also being a professional Master Perfumer. He is world renowned as an expert on the sense of smell. Overview information regarding George is provided below. The Aroma Academy is part of Scent & Aroma Technology Systems Limited, jointly owned by Dr Dodd and Alan Gordon, with George responsible for all scientific aspects of the company and Alan responsible for all business and general management activities. 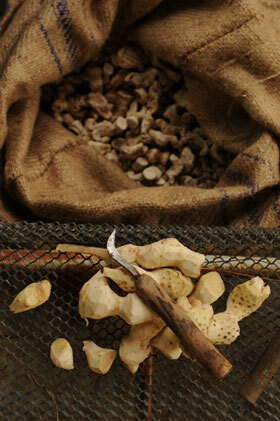 It is the owner’s intention to establish the Aroma Academy as the premier Scent & Aroma training and experience company. George is an Aroma Scientist and Bio-Chemist as well as a Master Perfumer – a key combination of knowledge and experience for the company. His background in Molecular Science and Bio-chemistry has led to the development of an international reputation for fundamental research on smells and aromas. He originally studied Chemistry at Trinity College, Dublin but has spent much of his scientific life straddling the fields of chemistry and perfumery, gaining a PhD from the University of Oxford along the way. His career has covered both Academia – including setting up the Smell Research Group at the University of Warwick - and several start up companies including being a founding Director of the world’s first smell bio-technology company. George still maintains links with the world of academia through a close working relationship with the group that he founded at Warwick. George is the scientific expert behind the company’s Product Development and conducts many of the company Master Classes. The first love in his life was smelling things and making perfumes. When he was 14 he had a sophisticated set of chemical glassware for making smelly chemicals, and by the time he was 16, working with a small Irish company, he was learning the basic perfume trade. 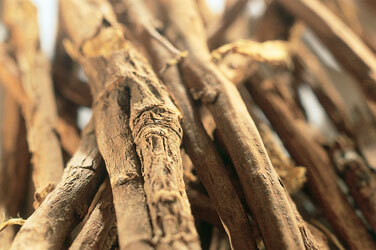 He studied chemistry in Trinity College, Dublin with research projects on spearmint type odours. He then began research on small molecules binding to proteins - the key event in the sense of smell - at the University of Oxford and acquired a D.Phil (Ph.D). After a spell working in Unilever on a variety of smell projects he joined the University of Warwick where he founded the smell research group in 1971 and directed its work until 1994. Over the years, he founded a perfume studio in Stratford-upon-Avon, had a consultancy company with a colleague working on diverse smell and perfume projects and, in 1995, was a founding director of the world’s 1st smell biotechnology company – Kiotech int plc. 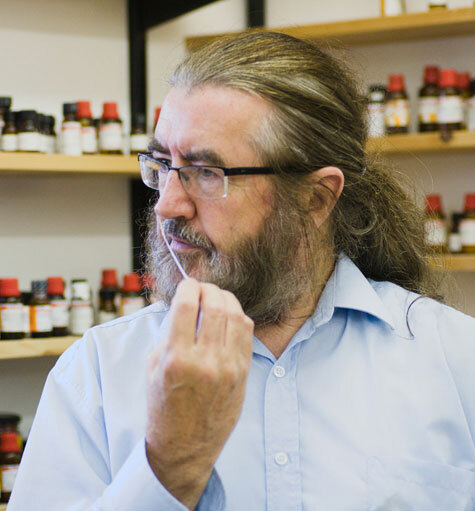 He also developed The Perfume Studio in a wonderfully wild region of Scotland and continues working in the smell research group at the University of Warwick. Alan Gordon - Alan has a background in Business, General Management, Engineering, Manufacturing and Internet Marketing across various business sectors. He holds a double degree of BSc BEng in Manufacturing & Engineering and a Masters Degree in Business Administration (MBA.) He has been involved in several company start-ups and oversees the General Management of the business. Alan is also the owner of the leading Scotch Whisky information website www.scotchwhisky.net and was instrumental in assisting George in the development of the company's original product – the Scotch Whisky Nosing Aroma Kit. Aroma Academy are specialists who provide aroma training, aroma development and the creation of aromas specific to many industries including wine, scotch whisky, gin, food and perfumery. Our aim is to educate with expertise and to deliver fun experiences and events! Sign up to our Newsletter mailing list. We take privacy seriously. Under no circumstance will your details be shared with third parties.